Trees often show signs of illness that a non-professional can’t recognize. Left untreated, damage may stunt young or blooming trees and diminish privacy screens or prized plants. Deep Root Feeding is a soil injection of slow-releasing liquid fertilizer and root stimulant solution that provides trees with beneficial nutrients directly into the root zone. It is recommended that treatments be perfomed 1-2 times per year for trees up to five years old, and as needed for mature trees. All blooming plants should be treated twice per year to promote optimal health and color. As we are well aware, the drought California has endured over the past five (5) years still lingers even with the fair amount of rain received this past winter and water restrictions are expected to continue the same as last year. 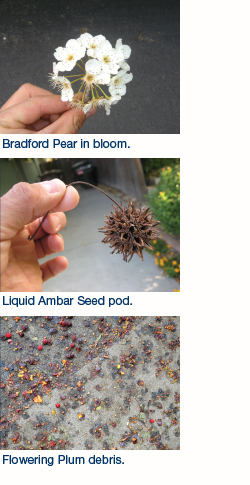 Carson Landscape Industries prides itself on proactive approaches to all situations and in the realm of tree care this would include Deep Root Watering. This is an injection of a natural surfactant that will help problem trees retain water. We recommend three (3) applications once per month in June, July and August to inject a solution of water and yucca extract to help struggling trees. 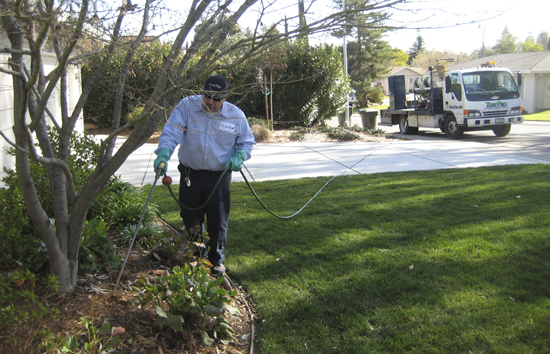 The most common trees to treat are Redwoods, Birches, Pines and other evergreen trees in lawns and parking islands where water has been reduced and heat sources are prevalent. 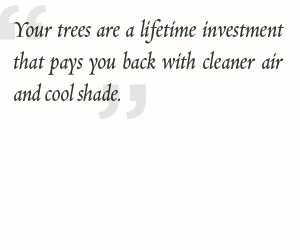 The typical cost per application is a minimum of $165.00, which covers up to five (5) mature trees or 10-15 younger trees. Please contact your Account Manager if you have any questions regarding your project or wish to schedule this service.